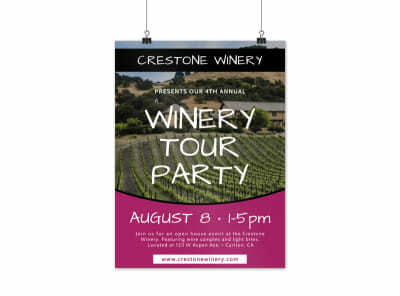 Customize our Organic Wine Tour Poster Template and more! 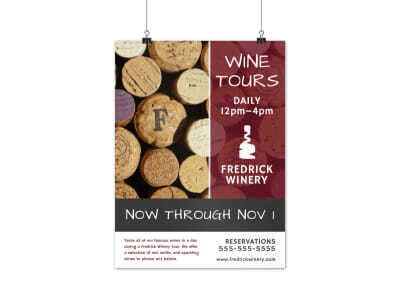 Give area wine enthusiasts something to talk about when you advertise an upcoming wine tour using this customizable poster you make yourself using our intuitive tools. 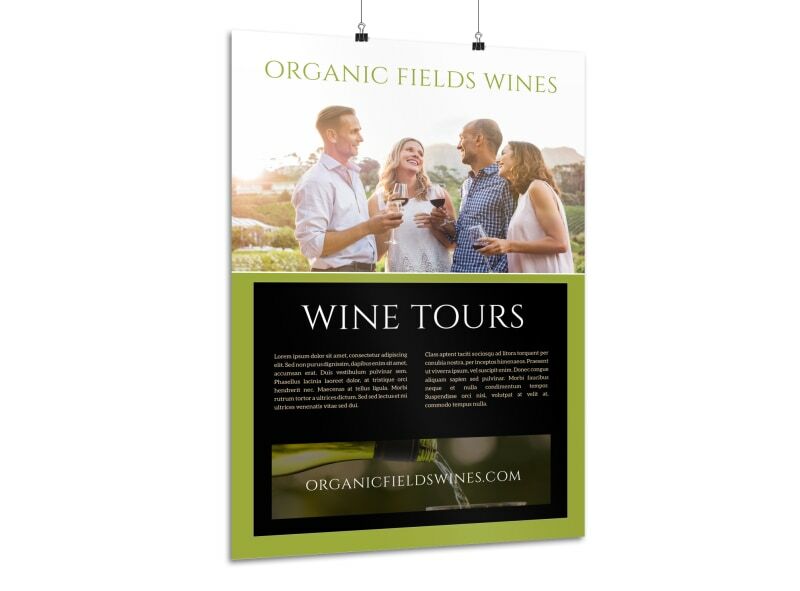 Keep things organic when customizing your poster with the help of our online editor, which allows you to switch up the color theme, images, and other design elements. 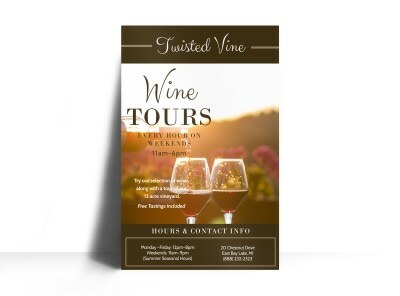 Your beautiful poster comes to life in just a matter of minutes, so get started now.